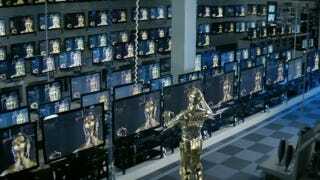 The British actor Anthony Daniels, who played C-3PO, commented at Panasonic's exclusive bundling of the Star Wars Blu-ray boxset with selected products that he's "quite happy, in a luddite kind of way, to see things on a [2D] screen." Going on, he said that he has "a problem with sitting in my own sitting room and being surprised by things coming into the room. I don't expect things to come out my television!" Star Wars' stunt co-ordinator Nick Gillard is surprisingly not keen on 3D either, saying "I hate 3D!" and that even in 2D, he wasn't that impressed by James Cameron's Avatar: "I saw Avatar on non-3D and I thought it was pretty average."